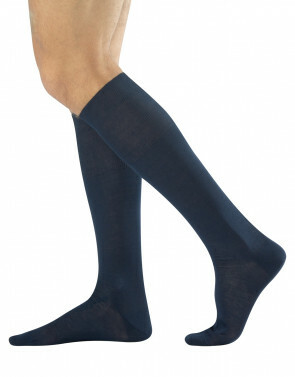 Knee-high socks made of rich cotton with high-quality yarns. Elegant socks with a design inspired by the tartan pattern where little lines cross and form geometric designs along the socks. Heel, toe, sole and band stand out on a dark background with this original light pattern.